Focusing on the magic of candles, crystals and herbs, the Magical Starter Kit brings age-old traditions into the 21st century. In each of these volumes by best-selling author Lisa Chamberlain, you’ll find in-depth discussions, practical tips, and simple spells to help you successfully create desired changes in your life. Whether you’re a newly practicing Wiccan, an “unaffiliated” Witch, or simply curious about trying your hand at the magical arts, you’re bound to be inspired by the offerings within these three guides in one volume. Although there are over one million practicing Wiccans around the world today, Wicca is one of the world’s few religions that is more likely to be studied on one’s own than through in-person guidance. And while there is plenty of information about the “Old Religion” available, all of the diverse and often conflicting perspectives can make it hard to know where to begin. 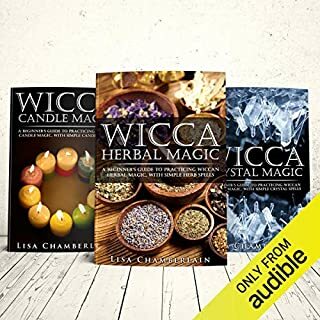 Combining three of Lisa Chamberlain’s top guides - Wicca for Beginners, Finding Your Path, and Living a Magical Life - the Wicca Starter Kit is designed to provide newcomers to Wicca with a solid orientation. 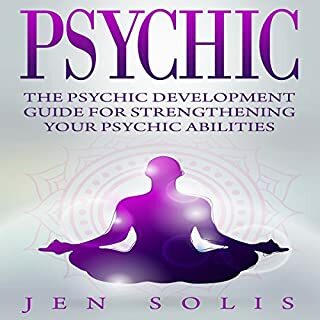 Discover how to develop your psychic abilities! Three books in one! Have you ever wondered if you had telepathic powers? Have you heard of astral projection, or psychic premonition, and wished you could experience something similar? Would you be surprised or pleased to discover that with just a little information and practice, you really could become psychic? If you answered "yes" to at least one of the above questions, then this book is just what you need to get informed, grow confident, and take the steps necessary to get more than you ever could have imagined out of your own innate psychic potential! Take action, not now, but right now, and grab this exciting roadmap to psychic development once and for all! i love listening to stories that are out of this world or world beyond our physical world. 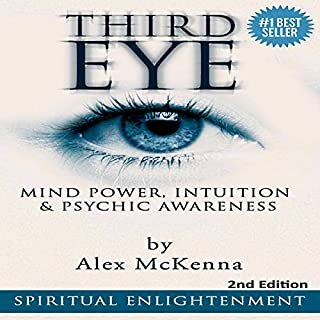 This audiobook tells a story about developing psychic capability, awakening the third eye and wicca. It thrills me while just listening to it..and sometimes I get to drift off with my imagination. The experiences and knowledge that are mentioned here was enough for me to me to develop my psychic abilities. I like the third eye awakening. Developing our psychic abilities is not easy because some people think we are crazy. What I like in this audio bundle is the third eye awakening. I was really curious on how this works. For more than 3 hrs I enjoyed listening this audio book. I bought all of the books in this bundle singularly before purchasing this, not really paying attention to the fact that that's what they contained. I think for the money it is worth it to just get the bundle because this author and narrator are amazing and it is beneficial to just own all of the content outright. Would you consider the audio edition of Psychic: 3-in-1 Bundle to be better than the print version? It is a great help for someone who wanted to develop their psychic abilities. This book is awesome. I got a lot of ideas on how can I develop my psychic abilities. Also, the voice of the speaker is calm and great. What made the experience of listening to Psychic: 3-in-1 Bundle the most enjoyable? I purchased this book because my third eye would sometimes open on its own. They I would think now what? How am I supposed to use this power? The first two books in this series gave me a broad idea as to what I'm able to do next. It also provided me clarification in several different terminologies. If you could sum up Psychic: 3-in-1 Bundle in three words, what would they be? 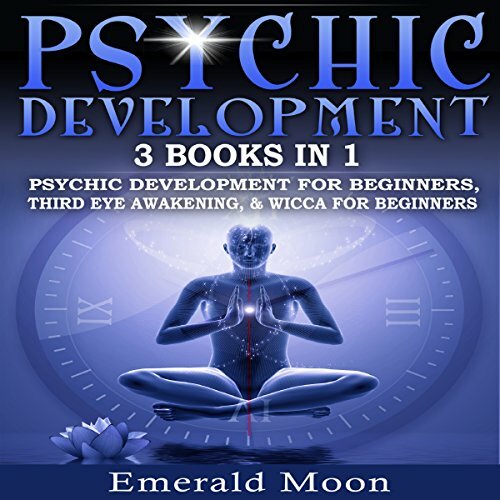 This audio book has help me a lot to develop my psychic abilities. 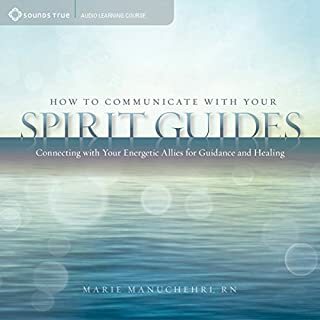 I highly recommend this psychic audio book to anyone interested in developing their intuition. The audio is entertaining and loved it. This books are a good compilation of psychic information. Psychic and intuitive abilities, like the ability to give spiritual healing, should not be regarded as the gift of the few – they are the birthright of everyone on Earth. .A book that teaches you how to develop and master the psychic abilities and mastering it. Their are lots of interesting things pointed out in the book. The last part about the Wicca religion was new for me and it also became my refreshment on my old knowledge about it. I enjoyed it. I've come to a better perception of the meditative method. I've got a level of peace using these chants.Effective exercises so far. But still listening.This is a blessing! This book helped make things clear for me as far as me feeling like I am highly natural. I have just hurt the surface on examining my intuitive/psychic abilities but I am happy that I got this audiobook. I highly suggest it. I liked listening to this AUDIOguide, it was fast and to the point. The actions were very clear to understand, I recorded them on my phone for easy playback. I would suggest this book to anyone engaged in preparing their psychic abilities and health. 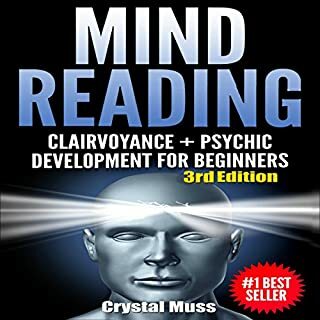 A good book for beginner psychics and spiritualists. I got a lot about how to get my knowledge and increase my vibration with the meditation exercises. It's helpful because I heard that a Psychic Development is not fundamentally a medium but a medium can be psychic. The number dictionary approach and what types could propose are really varied from one frame to another. A lot of problems. I had were explained in this AUDIObook. The exercises are clear to follow. I would absolutely suggest this book to anyone wanting to join with their powerful self. This is a very exciting audiobook for those in an exploration of uncovering or discovering their special sensorial abilities, it is a very easy and normal book on what these things are, how to develop them and keep them, the book is very well written and it is truly quite easy to follow and understand. The book also explains us about all the advantages we can get from perfectly telling and using our more sensorial abilities. The exercises are easy to hear &amp; do. 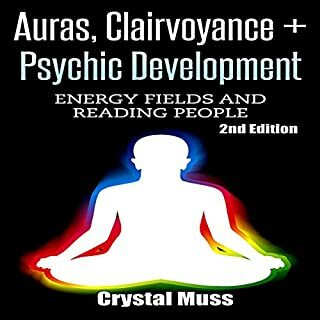 I have been trying to study &amp; learn how to develop my own Psychic ability and this is the best book I have got to do that! Great for beginners with no long epics just all the details and data written so clear can understand it.Emerald Moon has put it all together. The exercises are easy to hear &amp; do. I liked this book. I am not a beginner at psi, and so I forever get disappointed at the ABC level of most psychic development topics. This had that, though all the activities can be modified for more skilled psychics, and his descriptions are rich and satisfying. It was a great refresher course for me. This AUDIObook has encouraged me open the door also needs to advance my spiritual journey. I tremendous into meditation and liked getting about all the diverse kinds of ways to meditate and open up my feeling yet more. I am clearly working to go back and listen to this AUDIObook again! !